Black Oak Tree For Sale - Low Prices Online & Fast Ship! 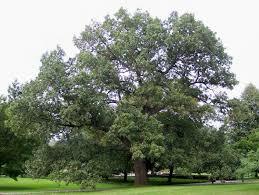 Black Oak Tree is native to central and eastern North America. It can grow in hardiness zones 3 to 9 and can thrive in acidic and dry soil types. At a moderate growth rate, Black Oak can grow on average to heights of 70 ft with a spread of about 50 ft. Black Oak grows best in full sun areas. In the fall and spring, the red and orange leaves contrast nicely with the furrowed bark, which on a mature tree is nearly black. The acorns it produces invite plenty of wildlife to the area, providing them with much-needed nourishment. Black Oak Tree Sheds its Leaves Late. 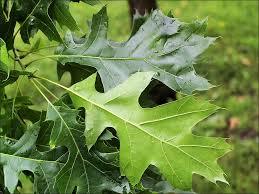 The leaves of a Black Oak Tree are bright darker green on the top and the lighter shade of green on the bottom. The leaves of this tree sometimes have brown hairs on the underside of them. When this type of tree is young, the bark is smooth and gray. When the tree gets older, the bark becomes thick and black. The bark of an elder tree also has furrows, or as some call them wrinkles. 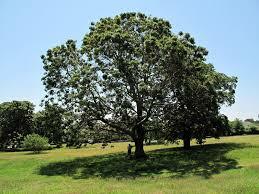 These type of trees grow acorns at about two years of age. They grow well with other trees. They can also be grown near shrubs. It prefers to grow in moist soil. It can be grown in any setting with wet ground. They grow beautiful in all types of soils. 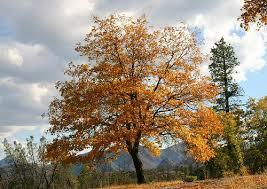 Black Oak Tree are very easy to grow and a great way to bring a lot of color onto a lawn. They are covered with gorgeous green leaves in the spring and summer and provide lots of color in the fall months as the leaves change to a golden color. The leaves on this tree are more significant and provide pleasant shade in the hotter months.